For some of us paper bags were what the groceries were carried home in - those and wicker baskets or string bags - plastic bags did not exist. Garbage bins were lined with newspapers - organic scraps went back into the garden or fed the chooks. The sandwich for school lunch was wrapped in paper too. There was a completeness to the cycles of everything going on inside and outside the home - dirty water went into the garden to grow vegetables and trees, old clothes were cut up to make brilliant coloured quilts or, if rags, became polishing items used for making shoes, floors and cars shine. Wooden pegs used to hang out washing never wore out, nor did jute string, and if they did deteriorate, it was back into the earth they went, as food to grow more dirt, more fresh air, more clean water - as these things are all made from natural products. There was a completeness to the cycles of everything fitting neatly into everything else - as everything is connected - with no bump in the cycles or machine, and no falling out from the edges into a massive landfill pit that must grow and grow as more and more falls out of those turning cycles that cannot break back down into its first grains and feed the earth. This began before many of us were born, in bakelite phones, then all the inventions that came as part of WWII and followed until 'booms' in items that were not natural came in successive waves through the 1950's and 1960's. In light of the recent publicity on television on the damage plastic bags can cause wildlife, I'd just like to remind all your readers as to how important it is to collect plastic rubbish from our beaches. Remember, every plastic bag you collect could save the life of a seabird or sea mammal. Too much had fallen out of the once fitting into each other completely cycles by then, while the clunking of the machine now sounding a note of amiss continued and grew faster and faster - only now it had grown to a cacophony of loud off-key to just plain wrong and jarring notes. The landfill pits were having to grow larger and deeper to keep pace with receiving this other 'opera house' of song. A generation of 'yeah-but's, who left it up to others to pick up the rubbish 'everybody else is doing it' had arrived so that by the mid 1980's Palm Beach would have rubbish on its sand and green reserves every single half foot, in all directions - and not just paper - but shiny silver plastic chip packets and lolly wrappers, and then, as the glass bottle for soft drink and milk fell to the plastic version (as that didn't require being collected, washed and reused and thereby increased the mighty profit), a tide of plastic bottles and plastic caps would get blown into the ocean with some of it returning on the very next tide until the bays of Pittwater and the beaches had a rim of plastic pollution. That which didn't come back........was already destroying the wildlife so many who live here would point to as the best part of this place - living side by side with what has long been here, in an urban and still green bush and water nature reserve or park. The Plastic Collectors grew in number - they were joined by the 'How to turn waste into a design opportunity' inventors - new ways to break down once unbreakable down plastics were being sought and found - as were microplastics - once found in cosmetics (Vanity, vanity - all that is just vanity!) - in the deepest depths of all oceans. The Collectors, Inventors, and those seeking to Restore the complete cycles - had been preceded and joined by the surfers, the gardeners, the scientists, the old and the young. They all knew the someones who must 'do something about it' was them - the someone who must 'do something about this' is you. So, instead of spending all their time wringing their hands, and sitting down and crying with their heads hung low - they got up and got to work - they cleaned and clean the beaches, knowing those tides will come in for years yet. They made their own bags, like those of old, from cloth, from string, and refused plastic. They went back to sipping ice cold cool clean water from a glass cup. They started Living Ocean - for a Living Ocean. They started the Surfrider Foundation - for a plastic free ocean. They started Avalon Boomerang Bags, for a future free of plastic bags. They started the Av. Green Team and then changed it to the The Green Team so that everyone knew that everyone is welcome and all belong in claiming back the parks and beaches. They had those who came before to look to - the Annie Wyatts who were planting trees from the 1930's. 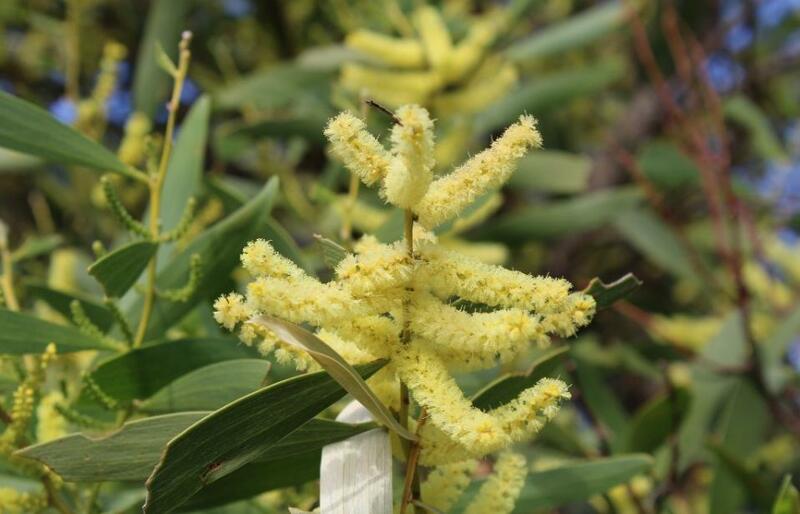 They had the example of Angophora Reserve - set aside for all flora and fauna so that could remain a place for the wildlife and plants to live. They had for an example another lover of the oceans and bush in Mr. Kiernan and an Australian legacy to the world that began as Keep Australia Beautiful. They may not have inherited the earth from their ancestors as they would like it - but they are determined to safeguard it for the future generations and turn this plastic tide. Yesterday, as a Plastic Free July celebration a fully fledged festival took place that sounded out more than few notes of the old accord of complete cycles and harmony being restored. 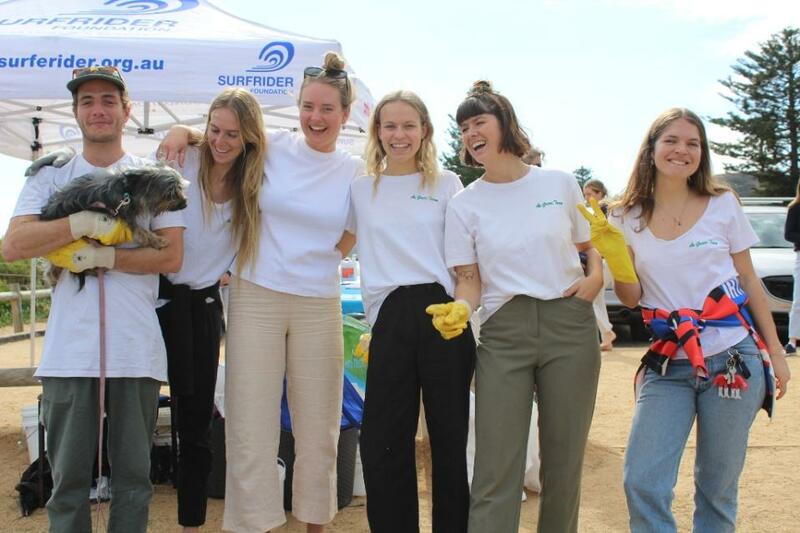 For the first time, ocean conservation charity LIVING OCEAN hosted a HUGE day of beach cleans, great food, live music, workshops, face painting, films, a discussion panel of community and environmental leaders, to showcase all the great work our community is doing in order to live a Plastic Free Life. 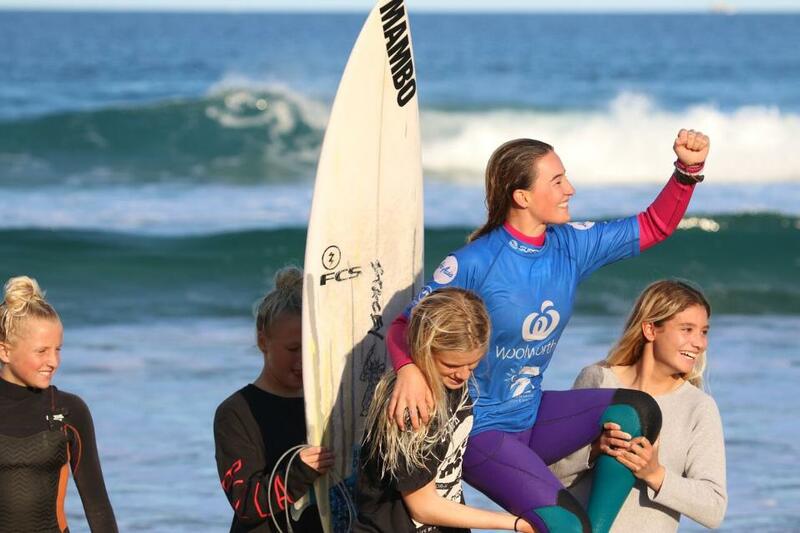 Narrabeen Sports High school, Barrenjoey High School, Freshwater and the NSBC Balgowlah surfers have all done well at the Surfing NSW 2018 Woolworths NSW Junior Titles pres. by Ocean and Earth and the 2018 School Surfing Titles with firsts, seconds and other top spot places won across the age groups and divisions and in the MR (Mark Richards) Shield. 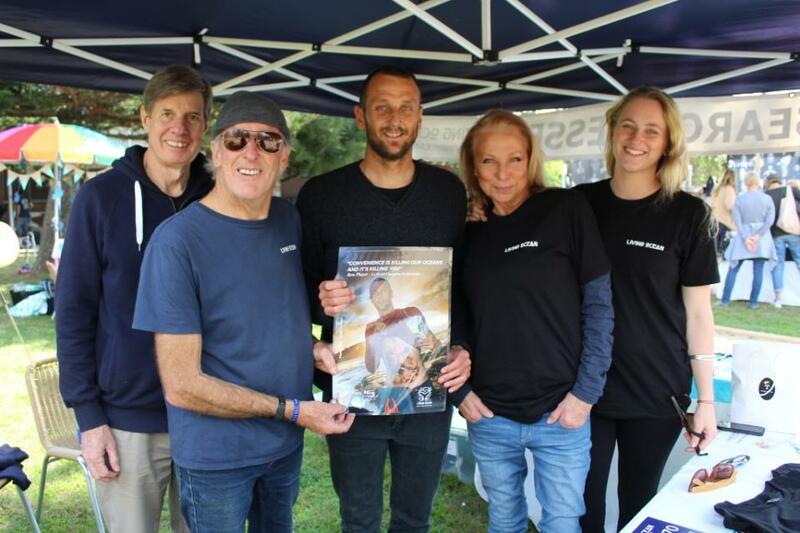 School Surfing NSW (SSNSW) exists to support government and non-government schools in the provision of opportunities for students to undertake surfing within their school’s curriculum. 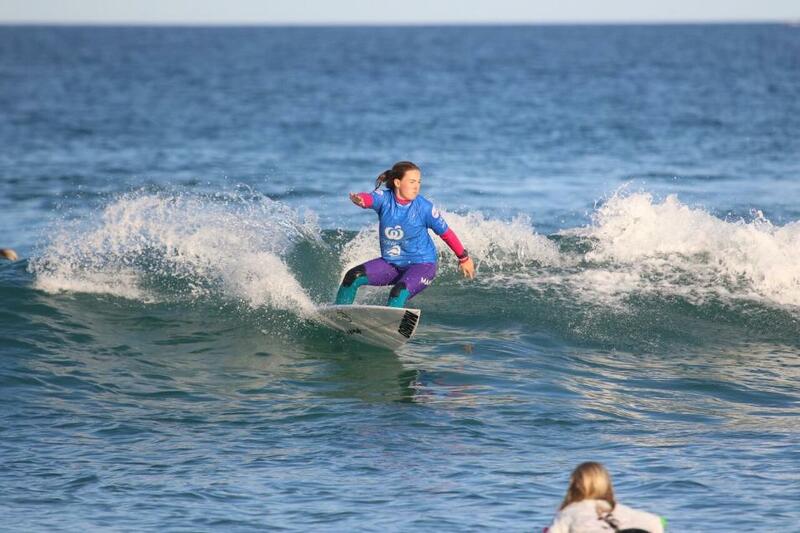 Being part of an extensive coastal community with so many great surfers, it should come as no surprise that most of our local schools have surfing and surfing competitions among their options for students. Before the Winter school break the 2018 Peninsula Community of Schools Surfing Titles were held at North Avalon Beach on July 1st with Narrabeen Sports High, Pittwater High and Barrenjoey High Schools athletes. Surfers whose names regularly pop up among placegetters in professional competitions were in the water and on the beach to represent their schools. Their efforts in the NSW State Junior Titles, which ran July 19th to July 24th and the School Titles 25-26th of July, the eighth year Surfing NSW combined the two day NSW School Surfing Titles into the event, are a testament to the level of talent in the upcoming generation of Australian surfers.